This Italian espresso machine is hand assembled by the oldest company in the business. Bezzera has been in the business of making outstanding espresso machines since 1901. It is this experience combined with an obsession for quality that makes Bezzera espresso machines so good. 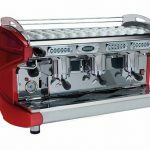 The Bezzera B2013 2 Group is an automatic espresso machine and is the latest update on the traditionally styled Bezzera B2000 espresso coffee machine that has been a staple in many international markets. It comes with an boiler pressure relief valve plus boiler thermal cut out to prevent damage. This commercial machine fits perfect in any cafe and will produce great tasting espresso utilizing its excellent theromostability. No more fluctuating temperatures. 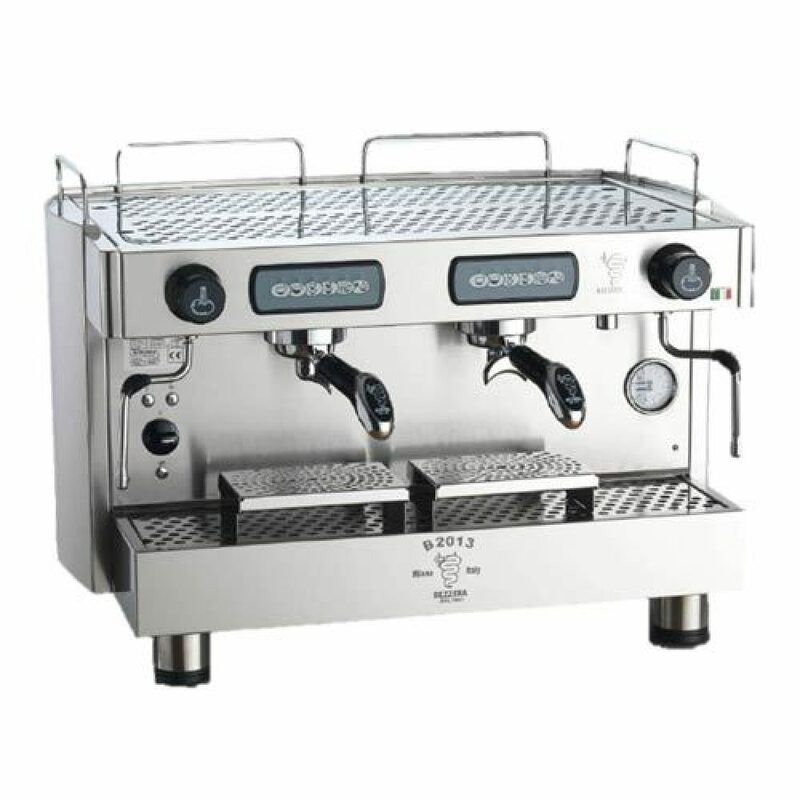 Bezzera produced this reliable and easy to use espresso maker with volumetric group control, automatic frother on the right hand side and a traditional “cool touch” ball-joint steam arm on the left, along with a hot water outlet.